I was so excited to work with Sandy from Sandy a la Mode, because she and I clicked right away and have similar tastes and styles when it comes to design. 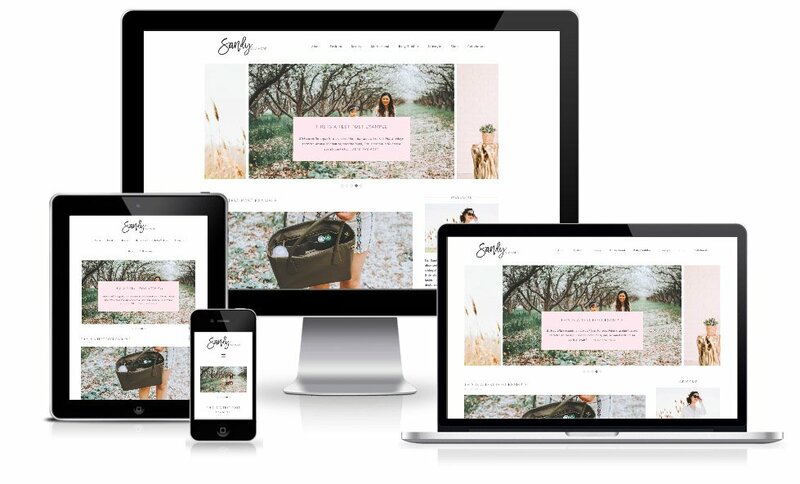 We created something special that features her (absolutely gorgeous) photos, subtle feminine hints, and can be used for years to come! Sandy wanted a blush pink and monochrome palette, and wanted to steer clear of harsh lines and fonts. 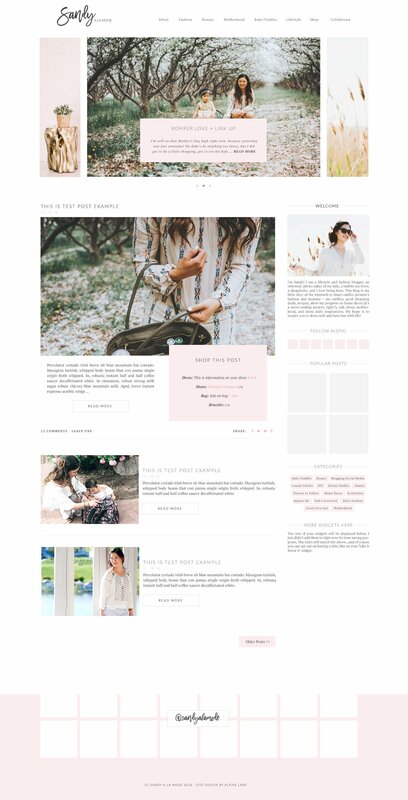 This custom blog design features: A floating Ubermenu, post slider, gorgeous ’Shop this post’ text area, Rstyle widget (not pictured below), customized instagram widget, and tag cloud.